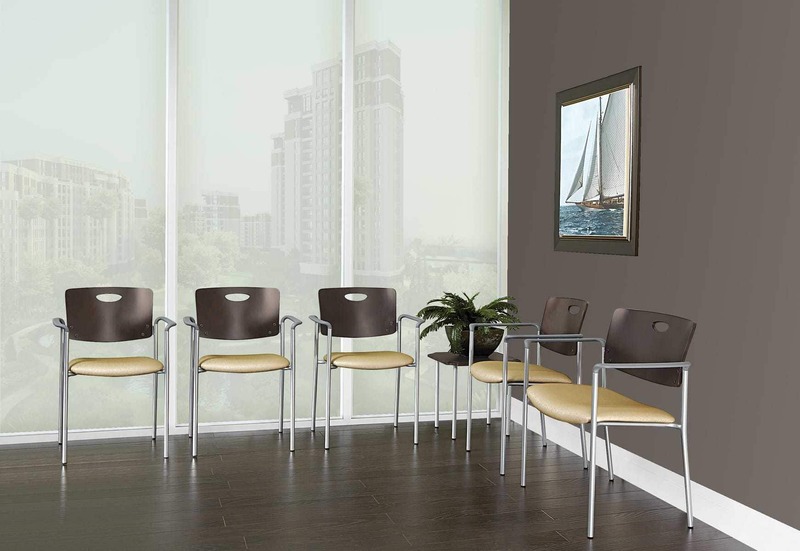 Designed exclusively for 24/7 healthcare environments, the Accent stacking chair is a perfect fit for waiting areas, patient rooms, cafeterias and administrative areas. Each model features a durable 14 ga. steel frame, finished with a long lasting powder coat finish. Additionally, any one of these models may be specified with one of our attractive wood back options, available in three unique cut-out designs and our seven standard wood finishes. Standard-size models stack six high on the floor and ten high on optional dolly. Mid-size and bariatric models stack four high on the floor and six high on optional dolly. 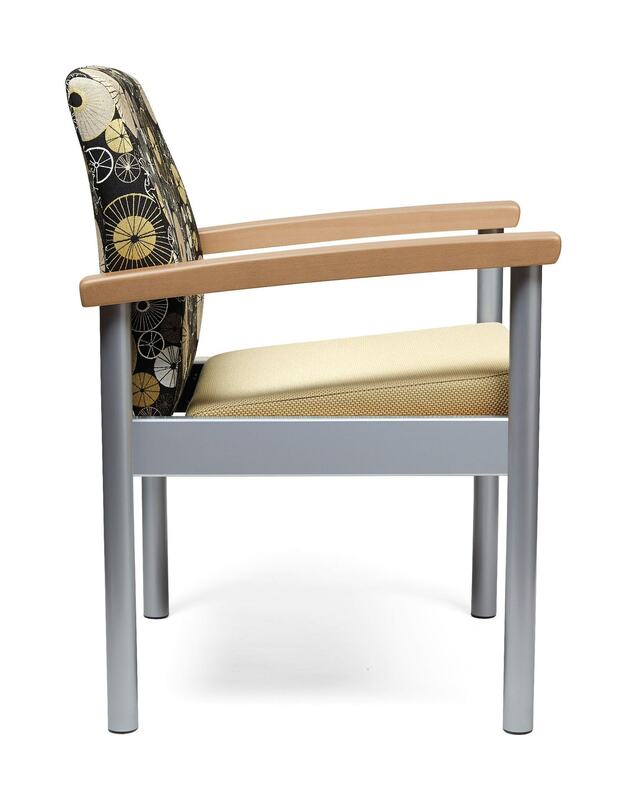 Standard and Bariatric models boast a reinforced frame and a 500lb weight rating. 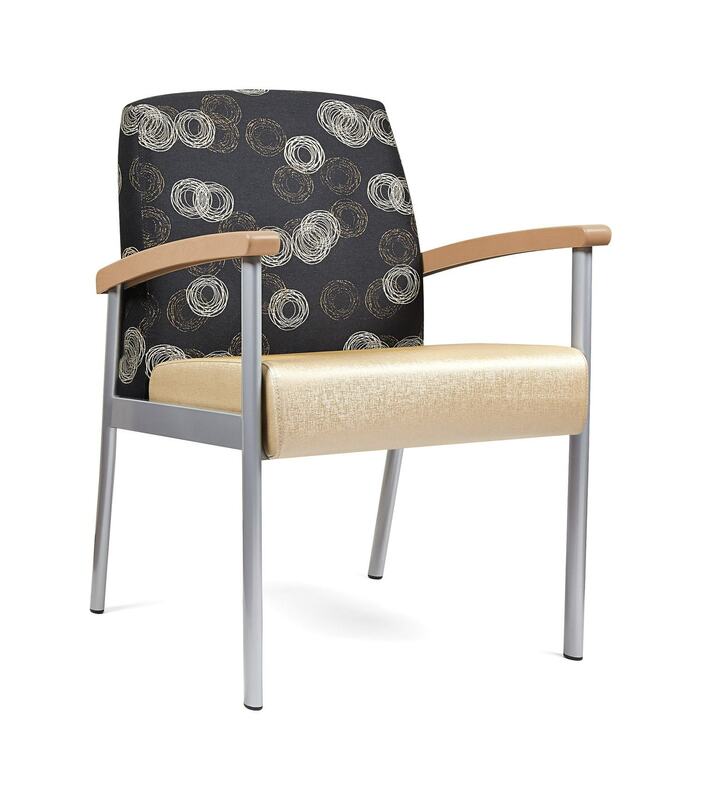 our unique “Symbol of Strength” designation for extreme durability, it is economically priced to suit the budget of virtually any clinical or acute care facility. 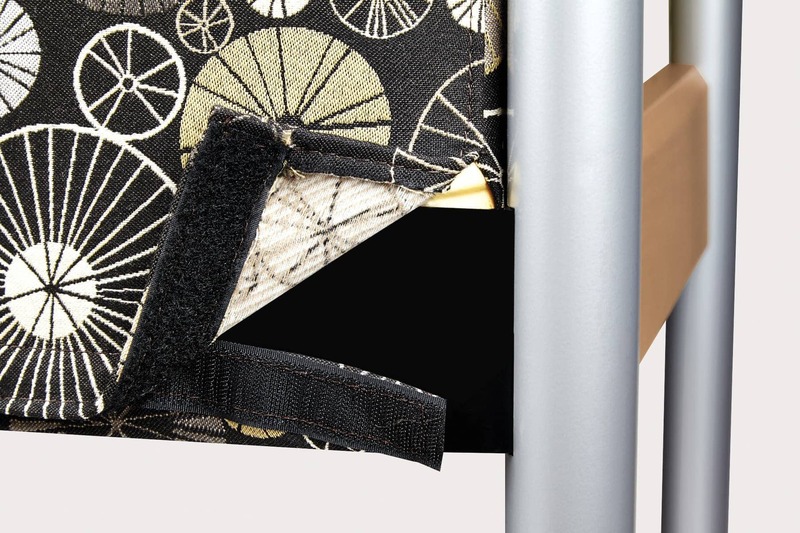 The simple, yet attractive frame design is fully welded to eliminate the use of fasteners that may loosen over time – a design made possible through in-house manufacturing processes. 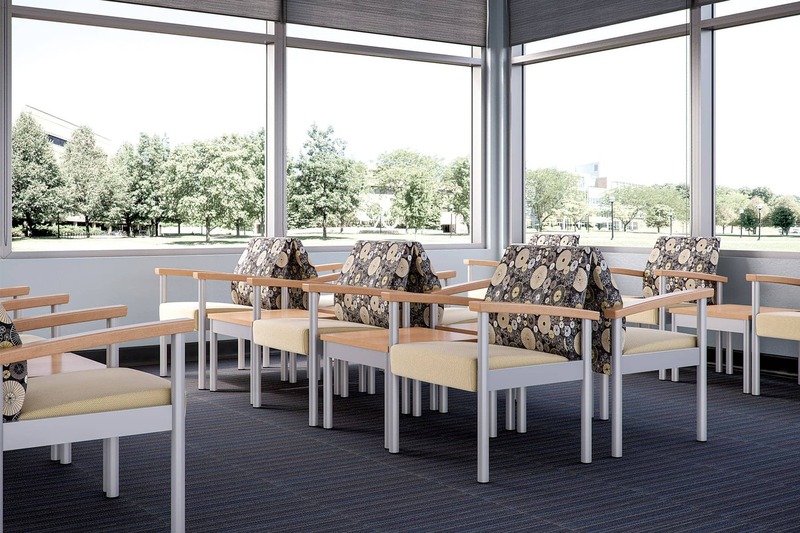 Many healthcare facilities today are moving away from traditional wood seating, and toward more sanitary and environmentally sensitive materials. 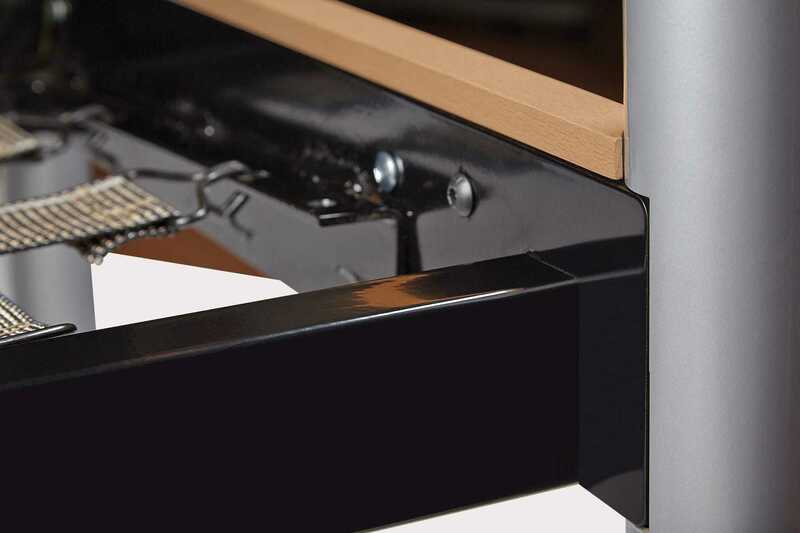 Legend was developed to meet this requirement, and for this reason offers a metal frame with an option of polyurethane arm caps. 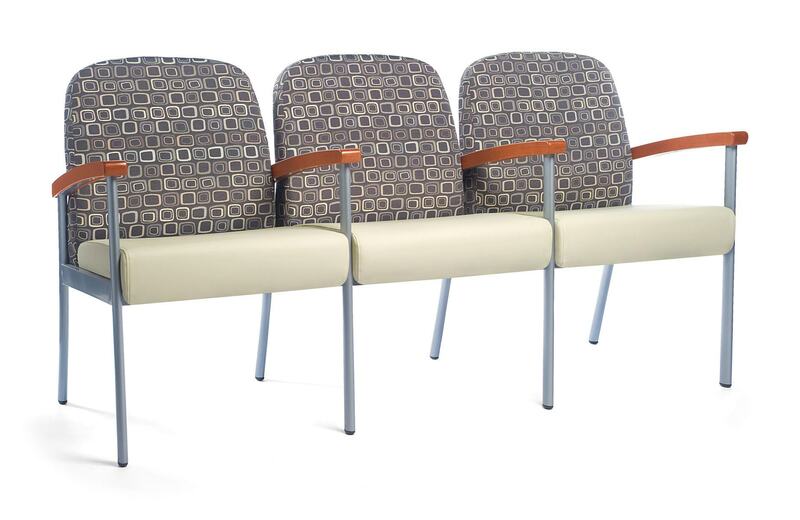 Legend is available with open or closed arms, in 21”, 24” and 31” seat widths and with the option of being ganged together by means of a heavy-duty ganging bracket. 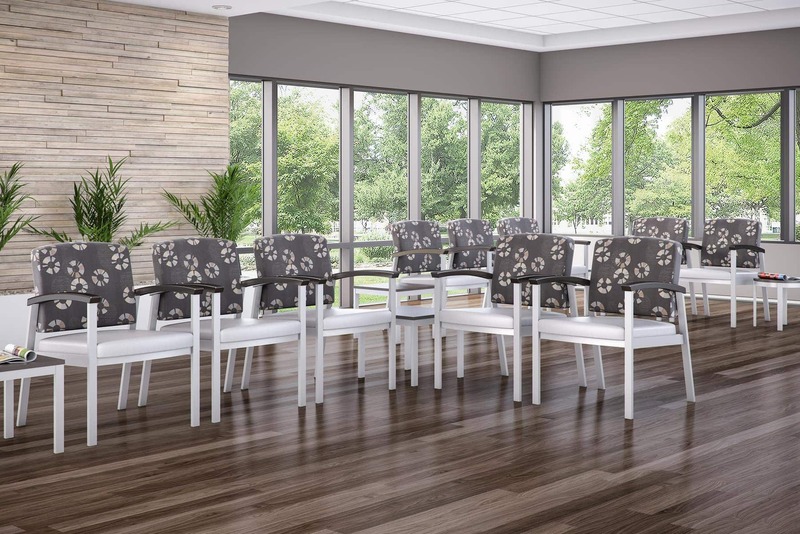 The collection is rounded out by a choice of round, square and rectangular tables that may be specified as free-standing or connected to the chairs. Additionally, Legend models are available in heavy-duty versions, suitable for behavioral health applications. These models feature a sled-base design, added weight, tamper-proof fasteners, non- removable armcaps and the elimination of any areas of concealment. 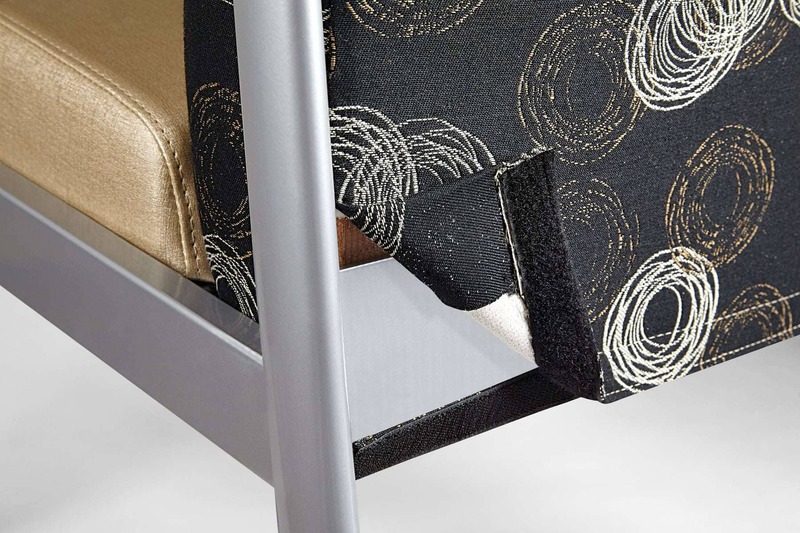 Introducing Integrity – a beautiful synthesis of form, adaptability and comfort! The name “Integrity” celebrates a quality that has become synonymous with the Stance Healthcare name. Honesty, transparency and a commitment to keep the promises we make. Although an independent thinker with a strong personality, Integrity has no trouble connecting with its peers. In fact, that’s what it does best! 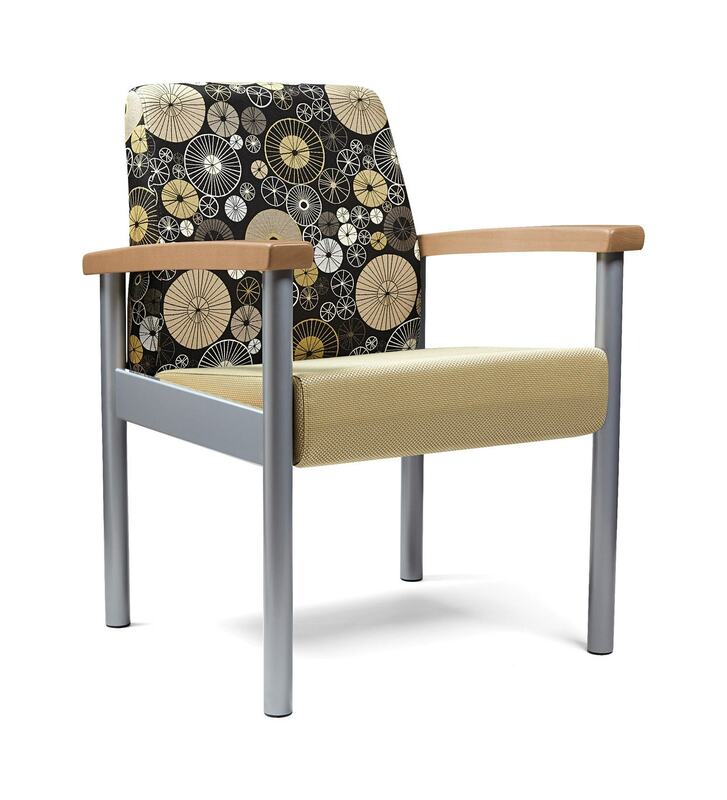 Utilizing a rugged ganging mechanism, chairs can be easily configured and re-configured to suit any environment. Integrity’s streamlined profile can be deceiving because it boasts a generously padded, wider-thannormal seat width of 21” between the arms, making it a perfect fit for any body. 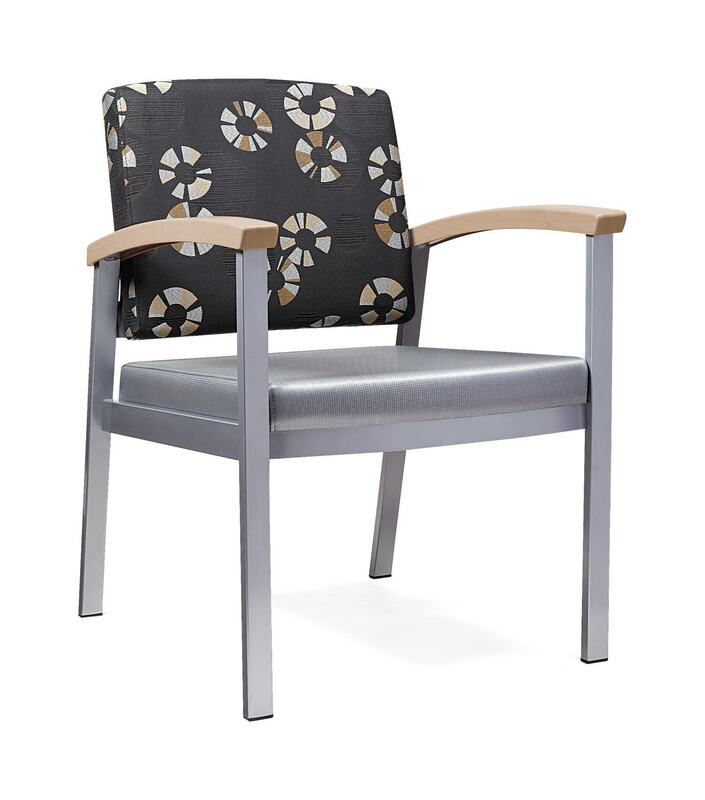 And what’s more, the transitional appearance is timeless, making it the perfect complement to any healthcare, hospitality or office environment. 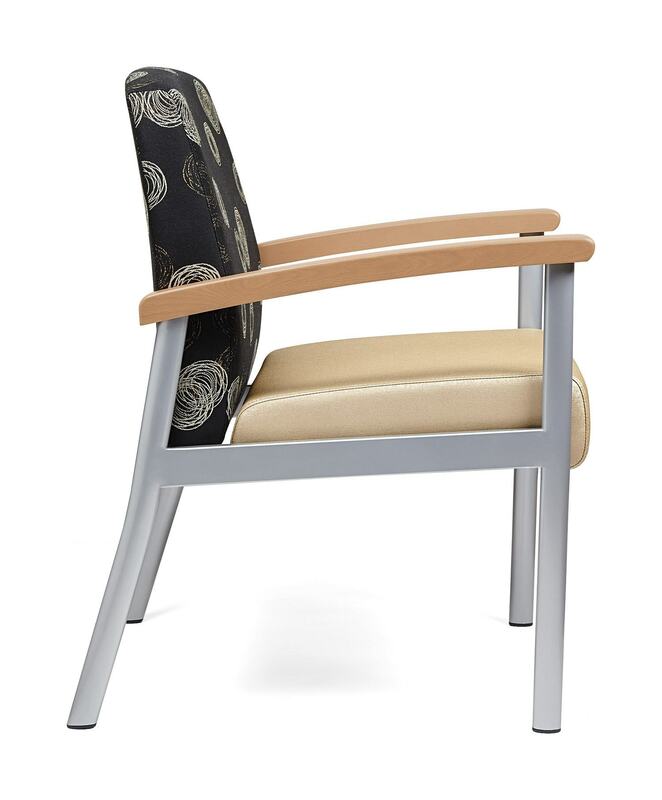 Standard Integrity chair is rated for 350 lbs and bariatric chair is rated for 550 lbs. 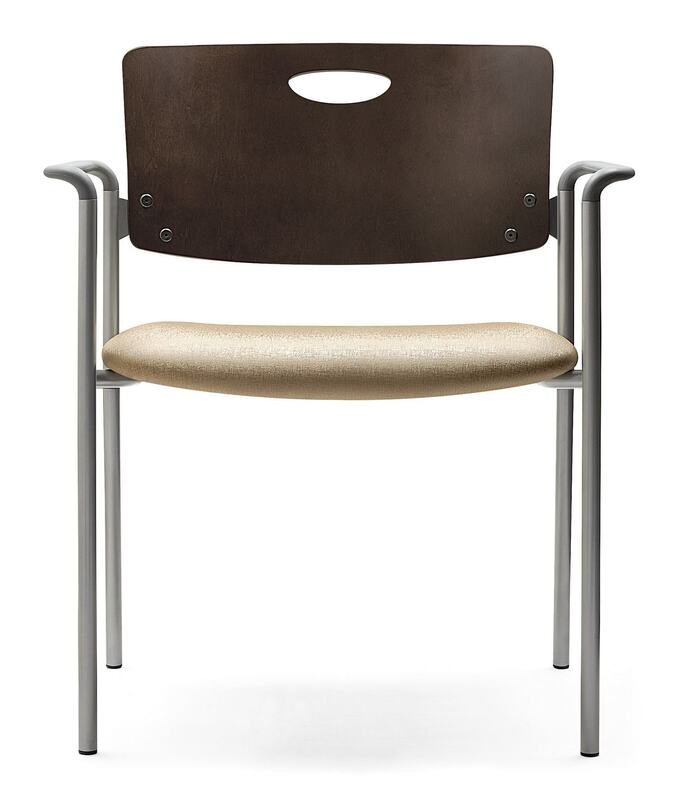 A close companion to the Vista Seating Collection, the Vista II boasts an attractive oval steel leg capped with your choice of either a wood arm or a polyurethane arm. 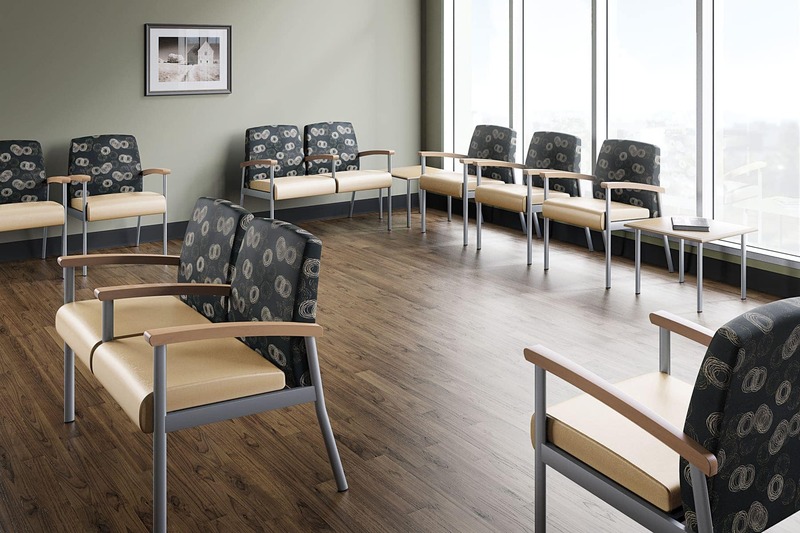 Many healthcare facilities today are moving away from traditional wood seating, and toward more sanitary and environmentally responsible materials. The Vista II was developed to meet this growing demand. 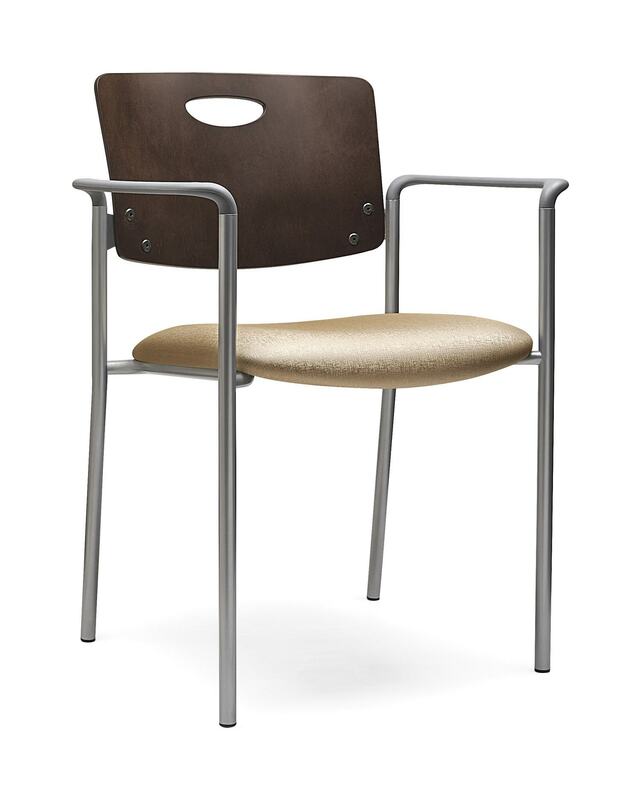 Vista II offers the broadest range of options of any of our metal seating designs. 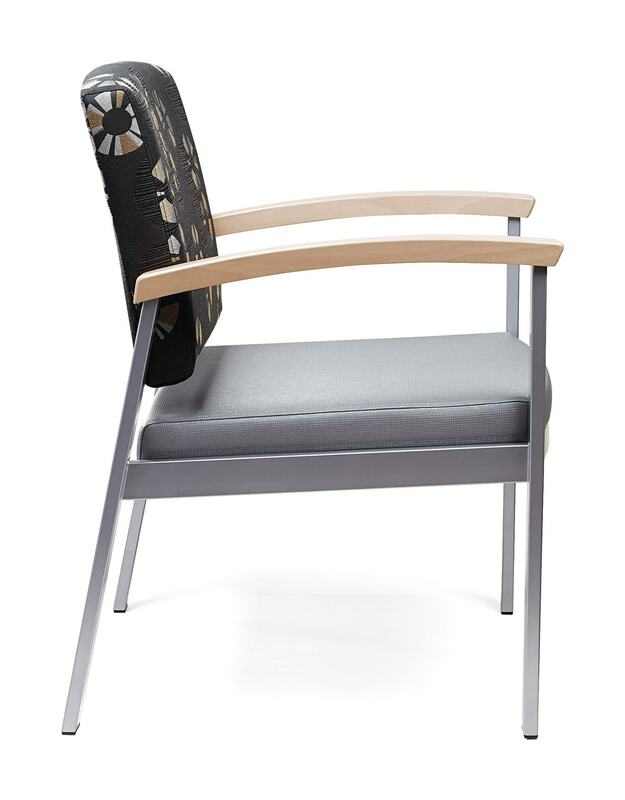 It is available in 3 seat widths (21”, 24” and 31’), 2 back styles (round and square) and boasts a total of eighteen unique configurations, plus benches and tables. 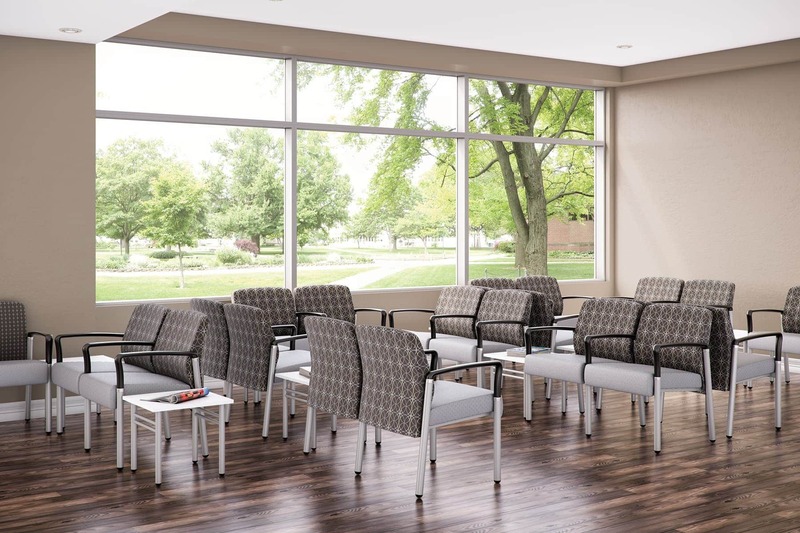 When selecting seating for any healthcare environment, the Vista II collection is likely the most practical decision you could make. Besides offering a generous dose of comfort, the Vista II collection boasts a range of features that facilitate effective cleaning practices in view of a happier, healthier environment. 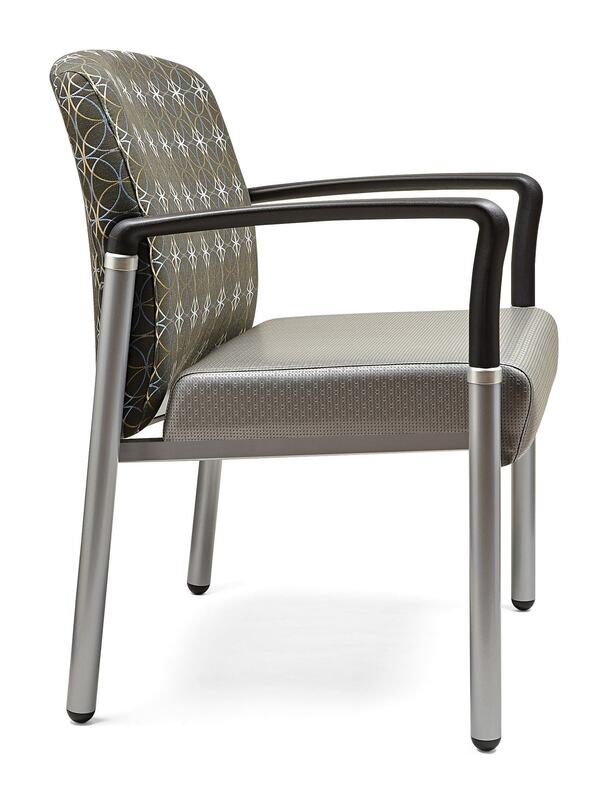 The Oasis Seating Collection is designed exclusively for high-traffic healthcare spaces. 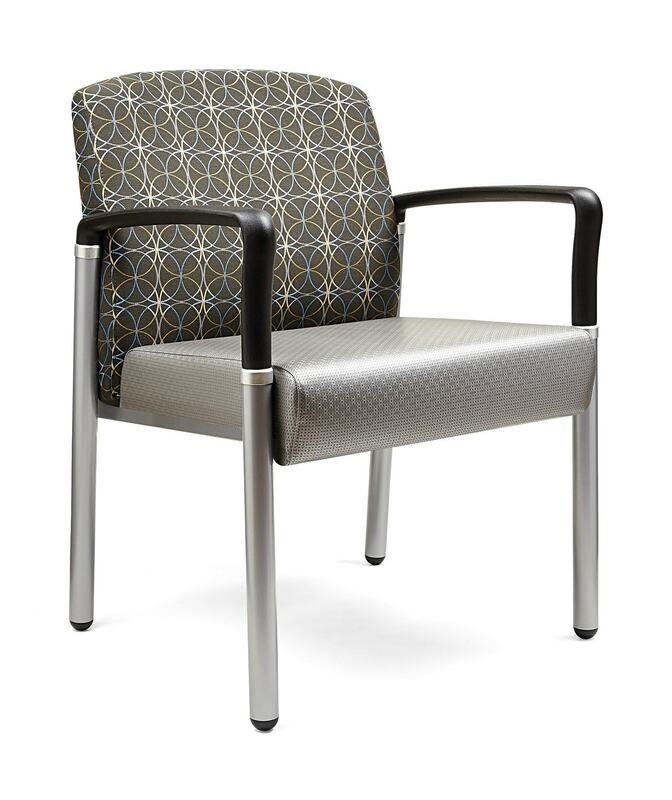 It features ultradurable construction methods and a plethora of features unique to healthcare seating products. Our focus on creating solutions is seen, par excellence, in the design and engineering of Oasis.